“Can you pass the cranberries? And make sure those rolls and stuffing make it this way too,” says Uncle Louie, like his heartburn doesn’t exist. The bottle of antacids is a tell-tale sign that he is going to be complaining of his chest hurting as he sits in the recliner later. He is not the only one to worry about acid reflux though. Many people will experience symptoms this time of year but should not be grabbing the bottle of antacids. 60% of Americans who will be sitting around the Thanksgiving table will have experienced GERD in the past year, and 20-30% will experience them on a weekly basis. (1) It’s common to be more symptomatic around the holidays. Because of excess of sugars in cranberry sauce and pumpkin pies, plus the excess carbs in pretty much everything, many feel the pain. 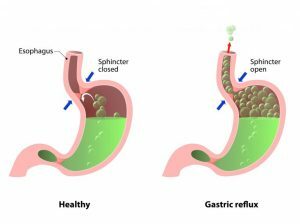 GERD is short for gastroesophageal reflux disease. It is when acid gets into your esophagus and causes corrosion. It’s also commonly called acid reflux or heartburn. In a healthy stomach, the valve ( or the sphincter in the image) between the esophagus and stomach is a gateway that only opens when there is pressure from the food you ingest. In an unhealthy stomach, that same valve feels pressure from the stomach and lets stomach acid bubble and gurgle up anytime it wants. This pressure can be from inflammation or other imbalances in your stomach caused by stress and diet. 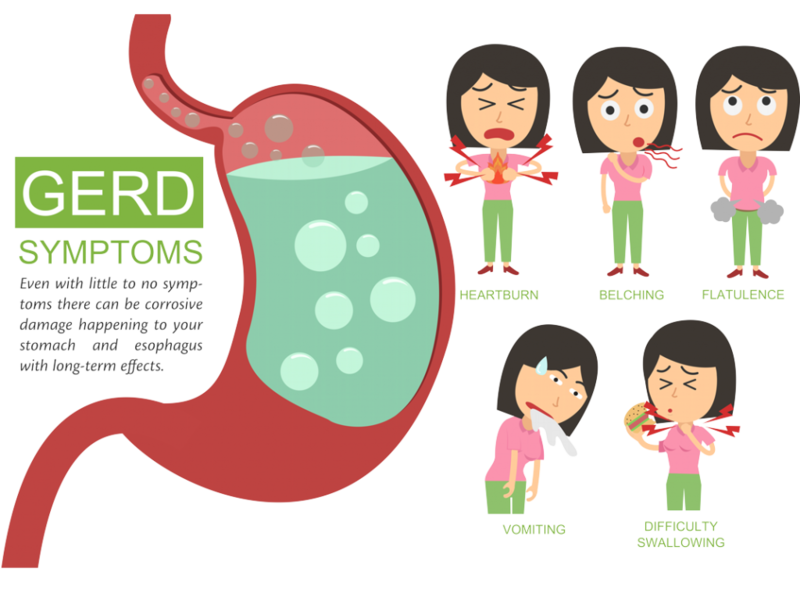 GERD isn’t just too much acid it is a response because of a stomach imbalance. 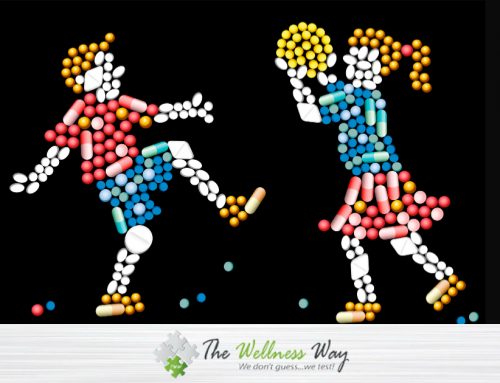 The holidays are a trigger for a problem that is there all year round- masked by medication or antacids. Millions of people take Proton Pump Inhibitors (PPI’s are medications that stop the stomach acids, either over the counter or prescribed) and many more are taking antacids. Not a big problem, right? No, it’s a problem. 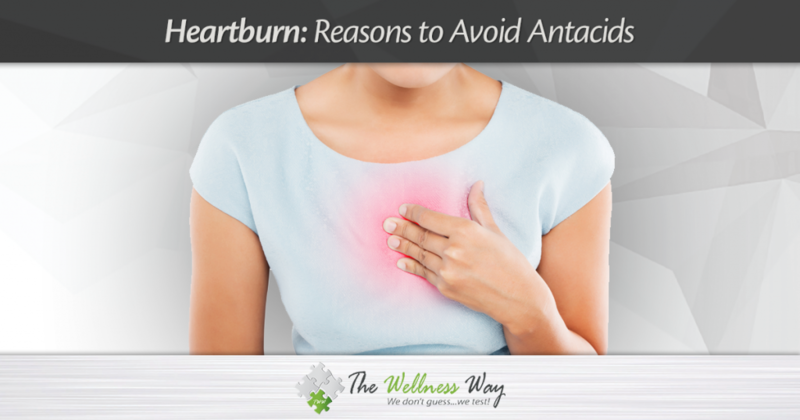 Those antacids aren’t doing you any favors and it could be a sign of a bigger problem. Don’t use the bottle as a crutch, that makes the root cause worse. But millions of people are taking them, you say. It must be OK? It lowers the acid and I feel better. You might think this if you are only thinking of your stomach’s job as breaking down food. I’m going to tell you the stomach’s most important job is a decontamination tank. It’s there to sterilize your food! Everything we eat comes with bugs, bacteria and microbes- that’s normal. What’s not normal is to mess with your stomach’s job and that is exactly what you are doing when you mess with the PH (or acidity). The PH is supposed to be low to kill off bad bacteria. Its killing off things that can’t survive in that PH and at the same time activating the enzymes to break down the foods. So, your stomach that is acidic and low PH is a benefit and protection for your body. If we are taking antacids on a regular basis, we are actually lowering our protection against foreign bugs. That means there we increase our chance for us to have an infection or disruption in our GI because of something foreign coming in. That doesn’t sound like a good idea. The more you mess up your gut the more inflamed it becomes, setting you up to “need” stronger, prescribed medicine which has even nastier side effects. It starts with a few antacids and later you graduate to needing more to try and help your stomach compensate. But you are fighting your body’s natural responses. For millions of users, continued use is increasing the chance of experiencing a heart attack. Let me say that again-Long term use of PPI can lead to heart disease. High price to pay when you think you’re just treating heartburn! PPI’s are just masking the symptoms of a gut that is out of balance. It is not fixing the cause and at the same time is causing an array of other unwanted health outcomes. Much of your health is found in your gut, which could be why one study found those who took PPI’s had a greater risk of death. I’m not saying stop taking your medication cold turkey without checking with your doctor. The medication could have a rebound effect as your body has tried to compensate for the medication you have been fighting it with. It could be a rough time as you get yourself off those drugs. What I am saying is, don’t let it get to the point where you need those prescriptions. The cause of your ailments isn’t acid reflux. The cause is what is causing your stomach to be inflamed and out of balance. You need to find the cause and decrease the triggers that are irritating or swelling the stomach then work on getting that stomach back to its normal environment. There are so many things that are bad about the standard American diet, including added sugars, chemicals and over processing. There are many reasons to avoid these foods but a big one is the inflammation that it causes in your gut. If we have inflammation, that causes that pressure on that lower esophageal sphincter leading to acid reflux. It’s not the acid that’s bad. It’s often what you are eating. While there are common foods that can cause inflammation, different foods for different people can trigger an acid response. Foods you wouldn’t think of. Everybody’s different. That’s why it is important to get an allergy test. 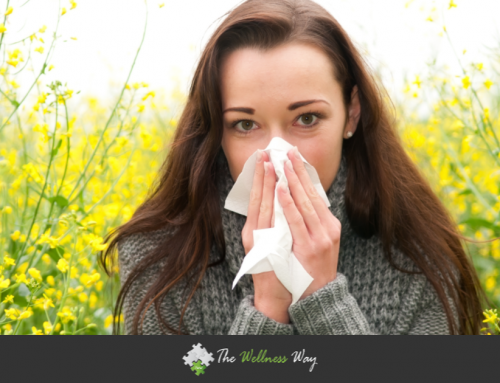 Once you remove your allergies, we can see if any other foods are causing discomfort. While allergy tests will tell you the specific foods you should avoid, there are some foods that are naturally inflammatory that everyone should avoid. These nasty effects can lead to a wide array of gastrointestinal distress including GERD. (4) Sounds horrible right? It means increased acid production, inefficient gut performance, and stress also impairs the brain-gut axis, which is ability of the gut and brain to communicate. 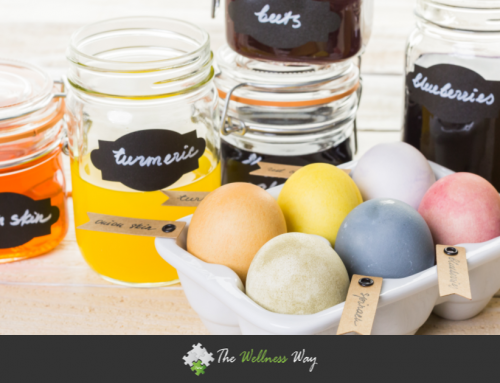 These are all important to the digestion of your food and getting nutrients. 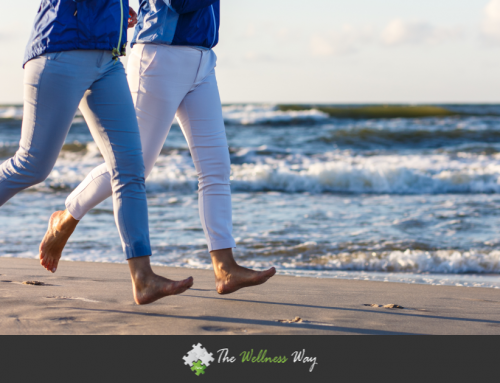 If you are stressing your body, it isn’t getting what it needs. When we are in stress mode our body is in fight or flight. This is the opposite of where we want to be in which is, rest and digest mode. When we are in fight or flight your body says, “OK, we are not going to need to digest anything” so it slows the digestion process down because it assumes you won’t be eating. You need your energy to be freaking out, not digesting. But when we are stressed in modern society, we still eat food and we have this overcompensation of acid. So, people taking the antacids and the medications are suppressing the normal response of acid production when the body is not in a state to digest. One study confirmed the strong association between reflux and psychological stress and that the severity of reflux was related to the degree of stress. (5) This ends up being a cycle of stress because reflux is stressful and causes you to lose sleep. This stress makes your reflux worse which is more stressful. It doesn’t end unless you change something. You just get heartburn around the holidays. No big deal, right? Well no, you have the issue year-round- it’s just that right now you have more triggers and will be more symptomatic consistently. No matter how many antacids you take it’s a temporary neutralization of the acid but that production is still there. Some people can be very symptomatic with GERD with reflux. There can also be people who can develop GERD with no symptoms or little to infrequent symptoms. There can also be people with silent reflux, which causes damage and is irritating bottom of esophagus. They don’t have the symptoms of heart burn, chest hurting but there can be other little signs like burping, hoarseness and mucous overproduction. Even with little to no symptoms there can be corrosive damage happening to your stomach and esophagus with long-term effects. There is asymptomatic GERD that can still cause enough corrosive damage to the esophagus that will lead to Barrett’s esophagus which is a precancerous esophageal state. GERD isn’t something to ignore and it isn’t going to change unless you decrease the triggers. Whether the trigger is stress or diet (or both! )- something needs to change and it’s in your hands. Now that we know the damage that the bottle of heartburn relief causes and acid reflux isn’t the root cause of your discomfort, it sounds a lot easier to pass on the cranberry sauce doesn’t it? You know it came from a can. It’s still shaped like the can. You don’t need it- you need your stomach.